BINGO Industries has unveiled its upgraded resource recovery centre in West Melbourne, including a new plant, weighbridge, safety and structural improvements. The upgraded recycling centre is set to become an important asset within Victoria’s network of recycling infrastructure with BINGO targeting a resource recovery rate of over 75 per cent. BINGO entered the Victorian market in 2017 through several strategic acquisitions. 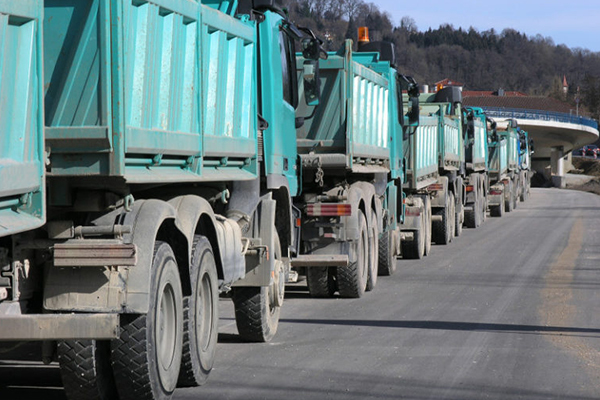 In the last 12 months, the company has invested in excess of $50 million in acquisitions and committed an additional $50 million for upgrades of local waste management businesses and poorly managed post-collections assets. BINGO has invested over AUD$20 million in the redevelopment of the West Melbourne site. Upgrades to the facility also include upgrades to the electrical and fire protection systems, including thermal cameras. BINGO Managing Director and CEO Daniel Tartak said that despite being a relatively new entrant into the market, the company is confident that it has the ability and know-how to be stewards for change and lead the Victorian recycling market to achieve enhanced sustainability outcomes. “The upgraded facility is a great example of what BINGO is able to achieve in transforming previously poorly-managed post collections assets. Large-scale infrastructure projects like this one will help reduce Victoria’s dependence on landfills, create new jobs and drive further investment in recycling facilities,” Mr Tartak said. Victoria’s population and economic growth is fuelling increases in waste volumes. The state is expected to be producing 21 million tonnes of waste per year by 2044, with metropolitan Melbourne accounting for 80 per cent of the state’s waste generation. 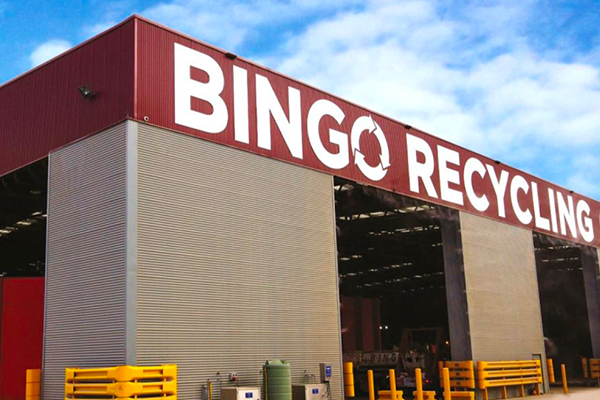 BINGO now operates five recycling facilities in Victoria, located at Braeside, Dandenong, Campbellfield, Clayton South and West Melbourne, as well as the TORO Waste Equipment manufacturing facility at Braeside. BINGO’s Victorian footprint continues to grow, with the company now operating a fleet of 100 trucks and employing over 130 staff. A significant pipeline of both building and demolition and commercial and industrial revenue has been identified in Victoria, and this market remains a key area of focus for BINGO in realising its vision for a waste-free Australia. BINGO Industries has welcomed the Australian Competition and Consumer Commission’s (ACCC) announcement that it would not oppose Bingo’s proposed acquisition of Dial A Dump Industries (DADI). It comes after BINGO accepted a court-enforceable undertaking from BINGO to divest its recycling facility in Banksmeadow, NSW. Earlier this year, BINGO offered to sell its Banksmeadow processing plant to ease ACCC competition concerns regarding its $578 million purchase of Dial-a-Dump. In August last year, BINGO announced it intended to acquire fully integrated NSW waste and recycling business Dial A Dump Industries for $577.5 million. The acquisition includes its Genesis Transfer Station in Alexandria, Genesis Waste Facility (landfill, materials processing facility, and recycled products processing facility) at Eastern Creek and a collections fleet of 55 vehicles. 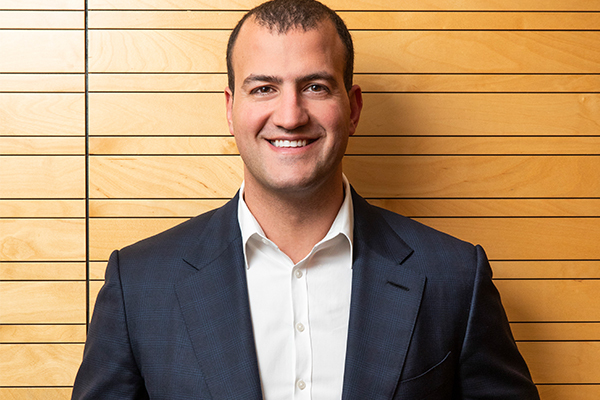 BINGO Managing Director and Chief Executive Officer Daniel Tartak said the ACCC decision was an important step in realising the company’s vision and five-year strategy to be a fully vertically integrated business and diversify into new markets in NSW. “Our acquisition of DADI will not only be transformational for BINGO, but also for recycling in the greater Sydney region. “Our development of a Recycling Ecology Park at Eastern Creek will allow us to process and recycle every type of waste, accelerate our vertical integration and compete more effectively with the larger local and international players. “The ability to further consolidate more of our recycling, processing, distribution and landfill at a single site will deliver significant economic benefits. It allows us to further grow waste volumes, by freeing up space across our network of resource recovery facilities, some of which can be better utilised as transfer stations,” he said. 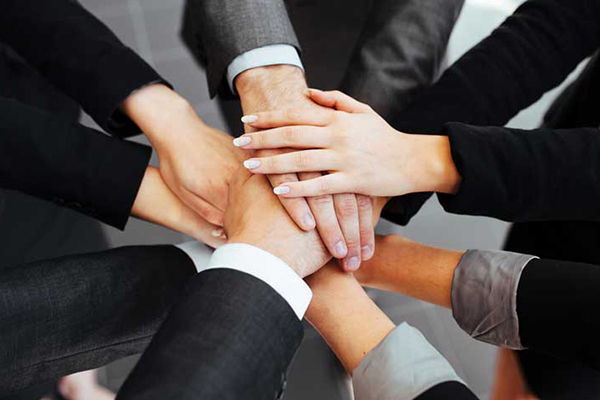 DADI is a fully integrated recycling and waste management services provider in NSW. DADI has operations across the waste value chain from collections to recycling, landfill and recycled product sales. 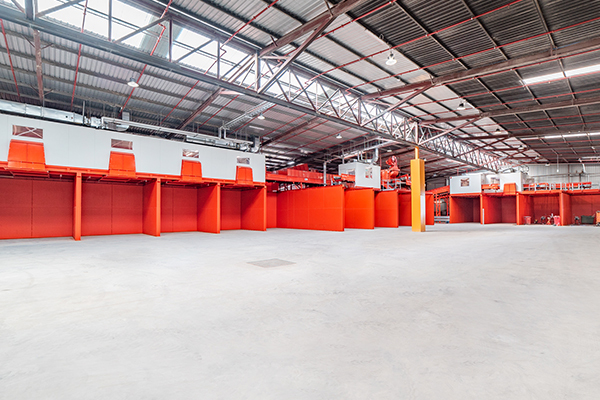 The principal asset is the waste management and resource recovery facility at Eastern Creek that spans approximately 55 hectares and is located in the Western Sydney growth precinct. It has an approved capacity of up to two million tonnes per annum between its resource recovery facility and landfill, and approximately 15 years of remaining landfill life. BINGO expects to achieve run-rate cost synergies of around $15 million per annum through internalisation of waste volumes, operational efficiencies, and rationalisation of overheads over a two-year period. ACCC clearance satisfies a condition precedent relating to the acquisition of DADI, and transaction settlement is expected to occur in March 2019. “This will help ensure our vision for a more sustainable Sydney is realised, as we push for a waste-free Australia and move to build a circular economy through diverting waste from landfill,” Mr Tartak said. “It will provide our customers with a better and more sustainable solution for both building and demolition (B&D) and commercial and industrial waste,” he said. According to an ACCC statement, there are larger players than BINGO in the waste industry, such as SUEZ, Veolia and Cleanaway, but BINGO is the most significant player in Sydney B&D collection and processing. “The transaction raised a number of significant concerns. Ultimately, we have concluded that the proposed acquisition, taking into consideration the divestiture undertaking, would be unlikely to substantially lessen competition in any market,” ACCC Chair Rod Sims said. A key issue for the ACCC was the loss of competition in B&D waste processing in Sydney’s Eastern Suburbs and inner city. “The proposed divestment of the Banksmeadow facility will maintain competition for B&D waste processing in Sydney’s Eastern Suburbs and inner city,” Mr Sims said. The other key concern related to the removal of future competition between Bingo’s and Dial-a-Dump’s non-putrescible landfill. “The Eastern Creek landfill site that Bingo will acquire is a strategically significant asset given that some of Sydney’s other dry waste landfills are due to close in the next few years and approval of new landfills is likely to be difficult,” Mr Sims said. Post-acquisition Bingo is expected to hold a significant share of Sydney dry landfill in terms of both annual throughput and remaining airspace. A key issue was whether Bingo would be able to stop competing B&D waste processors from having access to dry landfill at competitive prices due to its increased vertical integration. “After an extensive investigation, including consultation with many industry participants, we considered that most building and demolition waste processors would have sufficient dry landfill alternatives to Bingo,” Mr Sims said. Due to the introduction of the Queensland landfill levy, the ACCC considers it likely that Sydney dry landfill prices will rise this year regardless of the proposed acquisition. This will provide an incentive for increased recycling of B&D waste and incentives for more landfill capacity being made available in NSW. BINGO announced that the board has approved the implementation of an on-market buy-back of up to $75 million of its ordinary shares. As foreshadowed in BINGO’s half year results announcement, BINGO’s strong balance sheet together with the current trading value of BINGO shares supports the buy-back as a capital management initiative. The buy-back is expected to commence on 15 March 2019 and will end 12 months from the date of this announcement. The timing and number of shares purchased under the on-market buy-back will be contingent on Bingo’s share price and prevailing market conditions. Sustainability Victoria (SV) has awarded Bingo Industries a $500,000 grant to revamp its Braeside recycling centre as part of the third round of funding released under the Victorian Government’s Resource Recovery Infrastructure Fund. Bingo’s Braeside recycling centre will process mixed solid inert commercial and industrial and building and demolition waste. The Braeside facility will divert approximately 100,000 tonnes of waste from landfill across target waste streams in its first year of operation, with a target resource recovery rate of 80 per cent. The redevelopment will be see a complete rebuild of the existing infrastructure with plans to significantly improve resource recovery rates and minimise operational impacts on neighbouring land. The recycling facility will be completely enclosed with innovative noise and dust mitigation systems installed across the facility. SV’s fund aims to recognise innovative recycling infrastructure projects that improve the collection and processing of recyclable materials and generate jobs in the Victorian resource recovery industry. Bingo Industries Managing Director Daniel Tartak said Bingo is excited about the role it has to play in assisting governments and communities in achieving their sustainability outcomes through developing innovative recycling infrastructure. “We see the redevelopment of our Braeside and West Melbourne facilities as crucial in assisting Victoria in addressing the recent issues developed as a result of external pressures on waste management infrastructure such as China’s ban on importing Australian waste,” Mr Tartak said. Bingo invested $53 million on its initial expansion into Victoria in late 2017 with the acquisition of three businesses, Konstruct Recycling, Resource Recovery Victoria and AAZ Recycling. The company purchased the Braeside site in late 2017 and was awarded development approval by City of Kingston local council on 21 December 2018. Redevelopment work will commence at the site in early 2019 and is expected to be completed in the second half of 2019. Bingo now operates a fleet of 77 trucks and five recycling and waste management facilities in Victoria, employing over 130 Victorian employees. The company views Victoria as a key part of achieving its vision to see a waste free Australia by diverting waste from landfill and moving towards a circular economy. Bingo Industries Limited has announced its full year results for the 12 months ending 30 June 2018, with pro forma earnings before interest, tax, depreciation and amortisation (EBITDA) up 46 per cent to $93.7 million. As it announced its full-year results, the company also revealed plans to acquire Dial A Dump Industries Group. More news on that here. In an ASX statement, the company noted its strong growth trajectory was maintained with net revenue up 44.5 per cent to $303.8 million, attributing it to ongoing business momentum, favourable economic and market conditions and acquisitions. The results showed earnings per share growth of 53.1 per cent year on year. The Tartak family, who own about 30 per cent of the $1 billion group, floated on the ASX last year after raising $440 million. Pro forma net profit after tax before amortisation of acquired intangibles (NPATA) was up 44.8 per cent at $48.2 million. It noted that pro forma excludes acquisition, capital raising, integration costs and prepayment amortisation, prior to any impact of the company’s acquisition of Dial A Dump Industries Group. The statement said the acquisition was performing in line with guidance and on track to realise full identified synergy benefits of $6 million from the acquisition of National Recycling Group in financial year 2019. There is also an anticipated growth in the underlying business of about 15 to 20 per cent for financial year 2019 of pro forma EBITDA. Bingo CEO Daniel Tartak said the 2018 financial year was a very successful year across many measures for Bingo. “We delivered strong growth in revenue and earnings, and successfully executed on our growth plans set out at the time of the initial public offering, through strong organic growth, acquisitions and entry into the Victorian market,” Mr Tartak said. Revenue from its collections increased by 45.2 per cent to $176.9 million, driven by increased volumes in the market underpinned by sustained construction activity and buoyant economic conditions. Its post-collections revenue meanwhile increased by 47.7 per cent to $176.2 million, which the statement said was primarily driven by increased network capacity in NSW, with full year contributions from St Marys and Revesby. The statement said Bingo remains well positioned to capitalise on favourable end markets in both NSW and Victoria. It said continued revenue growth is expected to be underpinned by supportive macroeconomic conditions, a ramp up in infrastructure and commercial construction activity and an ongoing structural shift towards increased recycling. Bingo’s positive momentum has continued into FY19 with a strong base of contracted work, projects under tender and pipeline of building and demolition and commercial and industrial opportunities. “As a result, Bingo expects to report year-on-year pro forma before EBITDA growth of the underlying business in the range of 15 to 20 per cent in FY19, prior to any impact of the acquisition of DADI,” the statement read. Mr Tartak said Bingo has a clear growth strategy in place which will see it continue to expand its network capacity over the next five years to help meet the rapidly growing demand along the east coast of Australia. “With a strong team in place and a culture of success, I am confident of another successful year ahead for our company,” he said. Bingo Industries has announced it will acquire fully integrated NSW waste and recycling business Dial A Dump Industries for $577.5 million. It comes as Bingo Industries released its full-year results (more to come on this). According to an ASX statement, consideration for the acquisition will comprise $377.5 million in cash and $200 million in Bingo shares to be issued to vendors of Dial A Dump Industries Group (DADI Group) after the acquisition is completed. The acquisition will be funded by an underwritten 1 for 2.48 $425 million pro-rata accelerated non-renounceable entitlement offer and $200 million scrip consideration to DADI vendors, priced at $2.54 per new ordinary share. DADI Group generated financial year 2018 revenue of $198.2 million and earnings before interest, tax, depreciation and amortisation of $51.6 million. Ian Malouf, the largest vendor of DADI will join the Bingo board after the acquisition is completed with a shareholding of up to 12 per cent post completion of the entitlement offer and acquisition. The acquisition includes its post-collection assets, including Genesis Waste Facility at Eastern Creek, a recycling and landfill asset with approved capacity of up to two million tonnes per annum and remaining useful landfill life of about 15 years. The ASX statement said DADI has strong future growth opportunities through exposure to favourable NSW infrastructure markets and structural shifts towards recycling. It said there would be compelling future growth opportunities, including the opportunity to develop a Recycling Ecology Park in Eastern Creek aligned with Bingo’s strategy of further diversifying into putrescible, commercial and industrial and municipal solid waste and waste post collections. The statement said it also provides economic benefits through volume growth and internalisation of 100 per cent of Bingo’s non-putrescible building and demolition and commercial and industrial waste, with significant landfill capacity for external customers and broader coverage of revenue from the excavation and demolition phases of the construction process. CEO Daniel Tartak has committed to invest a further $72 million to take up 100 per cent of his entitlements, while Tony Tartak, the founder of Bingo and Mark Tartak have separately committed to invest a further $9 million each. CEO Daniel Tartak said the DADI site at Eastern Creek provides Bingo with the opportunity to transform waste recovery and recycling in greater Sydney through the development of a Recycling Ecology Park. “The Recycling Ecology Park, once completed, will considerably broaden our range of processed end products as we work towards building a circular economy. By seeking alternative waste solutions, we can enhance recovery rates, consistent with Bingo’s strategic intent of diverting waste from landfill through recycling led solutions,” he said. Dial A Dump founder Ian Malouf said the company has a lot of respect for Bingo and how they have built their business. “Bringing together these two Australian companies makes complete sense. I fully support Daniel Tartak the CEO and Bingo’s growth strategy, particularly the vision of a master site at Eastern Creek that can process all waste types. With the infrastructure program in NSW and the new waste levy in Queensland, the market is only going to grow and I’m excited to be on board for the journey,” he said. Bingo expects to deliver run-rate synergies of $15 million per annum to be realised over two years, from internalisation of waste volumes, operational efficiencies and rationalisation of overheads. 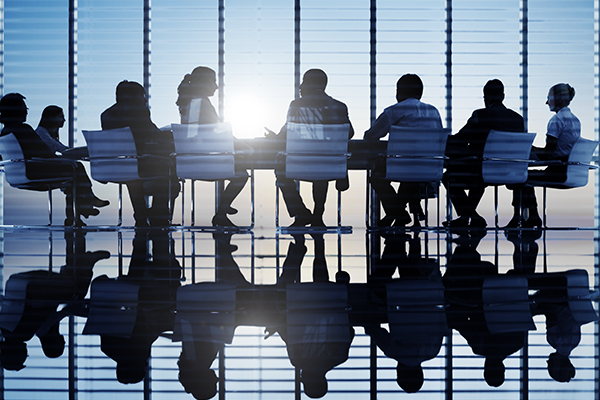 The acquisition remains subject to customary closing conditions including Australian Competition and Consumer Commission informal merger clearance. A new trial aims to divert spent coffee grounds from landfill and repurpose them into higher value uses. Planet Ark will begin the Coffee 4 Planet Ark trial in September in Sydney, in collaboration Bingo industries and with leading coffee roasters and members, such as Lavazza. Tata Global Beverages via its Map Coffee brand will collect spent coffee grounds from limited corporate businesses in Melbourne. The program aims to roll out around the country in 2019 after it identifies the best and most cost-effective collection method. Planet Ark undertook a 2016 feasibility study that found almost 2800 tonnes of spent coffee grounds are sent to landfill in Sydney alone. Once in landfill, the grounds would begin to break down and produce methane. Diverting the spent grounds from Sydney would save approximately 1600 tonnes of carbon dioxide equivalent emissions annually, according to the study. To develop new end uses for coffee grounds, Planet Ark has begun working with the SMaRT centre at the University of New South Wales. It has also secured a partnership with Circular Food to produce a nutrient rich soil fertiliser called Big Bio, which will utilise the collected grounds. 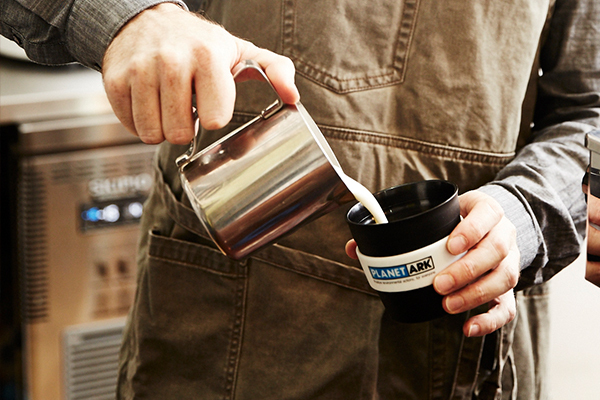 Planet Ark CEO Paul Klymenko said the Coffee 4 Planet Ark program was an important step in ensuring spent coffee grounds were being used to their greatest potential rather than entering landfill. ‘Currently, the vast majority of coffee grounds produced after extracting your coffee are going to landfill. Planet Ark believes in creating a circular economy where all resources are used to their greatest potential,’ Mr Klymenko said. Bingo Industries Limited (Bingo) has issued a statement on the ASX regarding speculation about a potential sale of shares by the end of the voluntary escrow period in August. The Tartak family, who own about 30 per cent of the $1 billion group, floated on the ASX last year after raising $440 million. “The Tartak family’s decision not to sell reflects their strong commitment to Bingo and their view that the long-term outlook for the company and the industry remains favourable, including the expected positive impact on Bingo from the impending introduction of a Queensland waste levy, expected to be legislated in early 2019,” the statement read. Bingo will announce its FY18 full-year results on Tuesday, 21 August and the statement reaffirms its previously stated guidance of pro forma FY18 earnings before interest, taxes, depreciation and amortisation of about $93 million. “I see [the statement] as very binding. I’m still a new CEO, still building credentials for myself, the last thing I would do is go against my word,” Chief Executive Daniel Tartak told the Australian Financial Review. He added to the publication that he had been open with investors about his “five-year vision” for the company and it “seems right we continue to be long-term holders”. Mr Tartak said Bingo Industries issued the statement in response to a “bit of market chatter and speculation”. In March, Bingo Industries announced its half year results for the 2018 financial year, reporting strong net revenue growth of 43 per cent. The company’s net revenue has increased to $142.4 million compared to this time last year, which according to its FY18 half-year results, reflects business momentum and increased market share. Australian Paper Recovery, Bingo Industries, Closed Loop and Northern Adelaide Waste Management Alliance have become members of the Australian Council of Recycling (ACOR). The new additions have grown ACOR to 36 members, worth $20 billon and employs around 50,000 people across the collection, sorting, processing, remanufacturing, and product stewardship activity streams. A 10-point plan for results-based recycling is also being planned by the ACOR board to develop industry accreditation and system standards. ACOR has also states it will provide stronger policy and innovation forums for business active in stewardship, including for packaging containers, e-waste, batteries, oil, solar related equipment and tyres. “As ACOR aims for smart solutions in resource recovery policy and leadership in industry innovation, it’s pleasing to have new members like APR, Bingo, Closed Loop and NAWMA join ACOR and contribute,” ACOR President David Singh said. “Our Board understands it’s time for our industry to stand up, put forward new ideas and positively partner for results-based recycling. “Results-based recycling is about more jobs, broader environmental gains and continued community confidence via a mature industry. We get there through sound and accountable policy, technological and digital innovation, closed loop teamwork, and urban growth management,” he said. Planet Ark has announced it will renew its partnership with Bingo Industries Limited to continue the companies’ commitments to diverting waste from landfill and moving towards a circular economy. 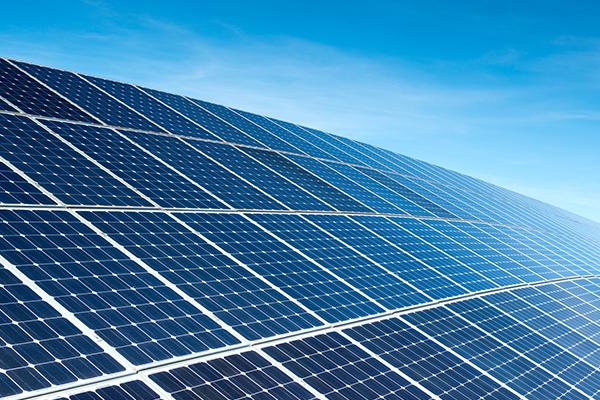 The partnership will now focus on making Bingo the most sustainable company on the Australian Stock Exchange (ASX) by creating a solar power network through the installation of solar panels on the rooftops of Bingo’s recycling and recovery facilities. The partnership originally began in 2011 and has seen Planet Ark and Bingo collaborating on sustainability initiatives including a waste education program for primary schools aimed at building awareness and encouraging positive environmental practices. Bingo Chief Executive Officer Daniel Tartak said the seven-year partnership with Planet Ark has been invaluable. “What we have been able to achieve together is something I am very proud of and with our renewed partnership we will be striving for even bigger, more ambitious sustainability goals,” Mr Tartak said. “Our aim is to lead the industry in sustainable business practices and be a steward of change by increasing the diversion of waste from landfill and investing in new state of the art technology to increase recovery rates,” he said. Planet Ark Chief Executive Officer Paul Klymenko said Planet Ark is proud of the partnership and relationship with Bingo Industries. “It’s been very rewarding to work with what was once a small family owned skip bin company and see it grow to become an exemplar for others in the recovery and recycling of building and demolition waste,” Mr Klymenko said. “For the next phase of our partnership, we’re excited to help make Bingo the most sustainable company on the ASX. We will achieve this by installing solar and smart battery energy systems across their sites, improving their energy and water efficiency and reducing the environmental impact of their truck fleet,” he said. Bingo is a major sponsor of Planet Ark’s updated Recycling Near You website, to help millions of Australians find recycling drop off locations. Bingo Industries has announced its half year results for the 2018 financial year, reporting strong net revenue growth of 43 per cent. The company’s net revenue has increased to $142.4 million compared to this time last year, which according to its1H FY18 half-year results, reflects business momentum and increased market share. The acquisition of National Recycling Group and Patons Lane Recycling Centre, announced in December, 2017, are noted as performance highlights in its half-year results. CEO of Bingo Daniel Tartak said he was pleased to deliver another strong result. “We have successfully executed several acquisitions in accordance with the strategy outlined at the time of our listing. These acquisitions have facilitated our entry and expansion in Victoria and consolidated our position in New South Wales, ahead of schedule. “We have grown our network capacity by 70 per cent since listing in May 2017 to 1.7 million tonnes per annum and remain on track to double our footprint by 2020, to meet growing demand for recycling,” he said. Broken down by segment, revenue in its collections sector increased by 29.1 per cent to $78.5 million and pro forma earnings before interest, tax, depreciation and amortisation (EBITDA) increased by 18.9 per cent to $18 million, primary driven by increased market share in the NSW building and demolition and commercial and industrial waste streams. The number of collection vehicles was boosted from 173 to 253 over the year, after taking into account the fleet acquired with the acquisitions in the first half. Its post-collections revenue went up by 53.4 per cent to $81.8 million and pro forma EBITDA increased by 53.2 per cent to $24 million as Bingo saw further market share in NSW. In terms of the outlook, the results note the positive business momentum has continued into the second half of financial year 2018. The company concluded it remains on track to deliver its recently upgraded FY 18 pro forma earnings before interest, taxes, depreciation, and amortisation guidance of approximately $93 million. Completed acquisitions are expected to contribute more materially in the second half of FY18. “Our work in hand with and pipeline provides strong revenue visibility and we remain confident of achieving our upgraded earnings guidance for the year. Our focus is now firmly on bedding down our recent acquisitions to deliver our targeted synergies and leverage the scale advantage we have across our markets,” Mr Tartak said.